A quick skincare refresher: Retinol, for those unschooled, is a derivative of vitamin A, a key ingredient in boosting cell turnover. It’s known to stimulate the production of collagen in your skin, making it firmer and smoother. It also reduces excess melanin production to limit the development of pigmentation, age spots, and sun damage. For a lot of people, it's the magic ingredient that solves their biggest skin nightmares, from fine lines to dullness to acne. 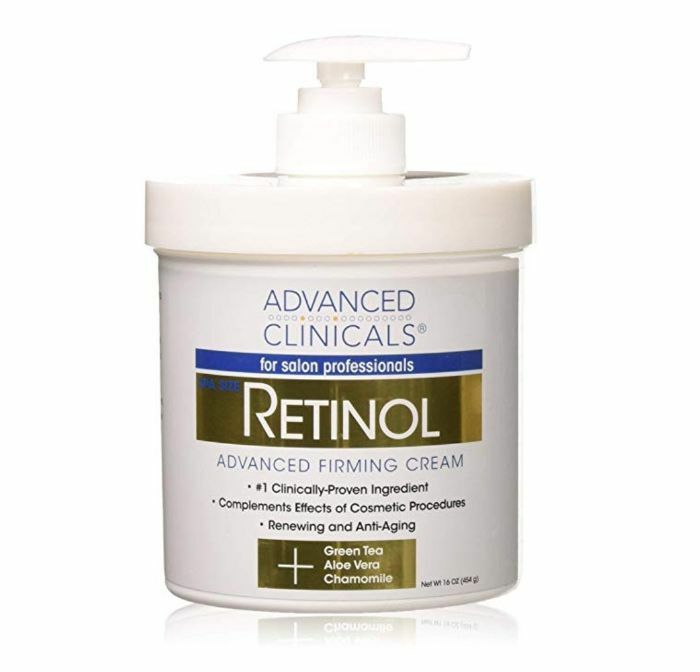 But while retinol has become a star ingredient for many face products, the magic doesn’t have to stop there. Adding retinol to your body routine has rich benefits too—not least of which is softer, smoother limbs. 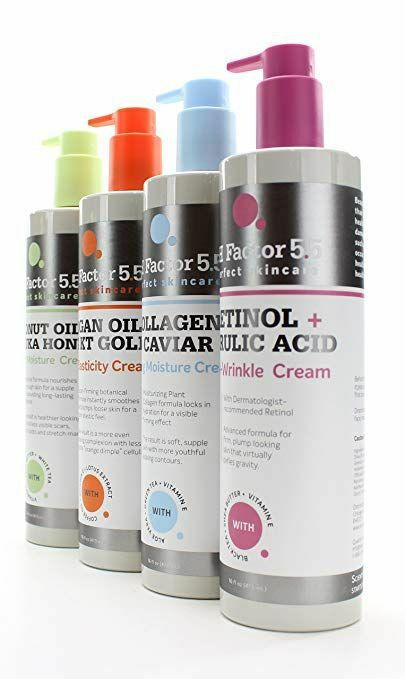 One thing to note is that when beginning retinol products for the face, experts usually recommend that you incorporate them gradually, as retinol can be harsh for some skin types, causing major irritation if used too frequently. 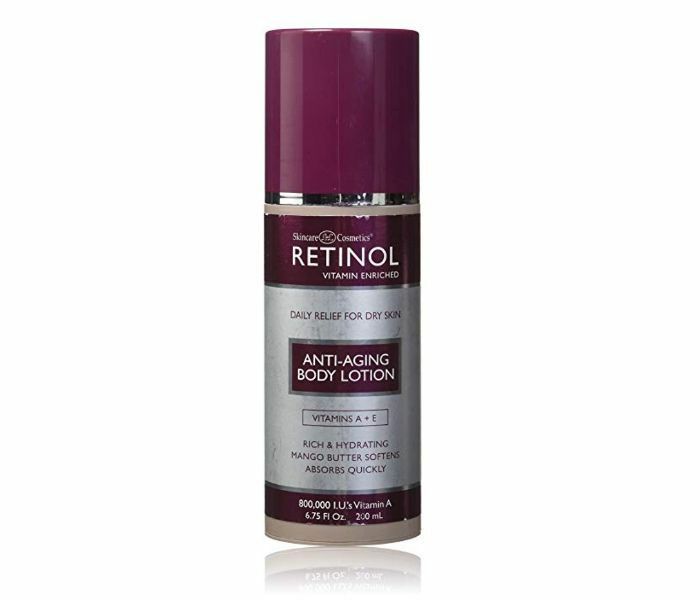 Keep that in mind when incorporating retinol body lotions into your bodycare routine as well. With soft skin on our minds, we combed the internet to see what real people deem the best retinol body creams on the market, according to reviews. Keep scrolling to see them all! “I’m 25 but am very proactive with my skincare routine and decided to try a retinol body lotion. I have no wrinkles or sunspots on my body but I do have stretch marks on my legs and hips. After using this everyday for 3 weeks I noticed my stretch marks seemed lighter and less defined. After two more weeks they were even lighter. This lotion is amazingly non-greasy after it soaks in. It has a thin consistency which makes it super easy to apply quickly. Once it dries it feels like you don’t even have lotion on, just really soft skin, which I appreciate. “I noticed a difference in my skin texture and the eczema patches when I woke up the morning after applying this for the first time! At first I thought it might have just been the moisturizing effect and the difference was in my head, but as the days have gone on the patches have faded apart from the leftover hyperpigmentation which I know will take some time to go away. I was worried this would be too strong for my sensitive skin but it is exactly what I needed. I've been applying it morning and night (after showering) and haven't experience any irritation. Love that there is no unnecessary added fragrance.” — Cari P.
“I am very pale and when I get a bug bite or a rash on my legs, it tends to leave a discolored area, sometimes for years. I've not had much success in getting these blotchy areas to fade. I do use lotions after bathing but that has not helped. After a couple weeks of using this product, several noticeable red areas (residual bug bites) were completely gone. I am very pleased. 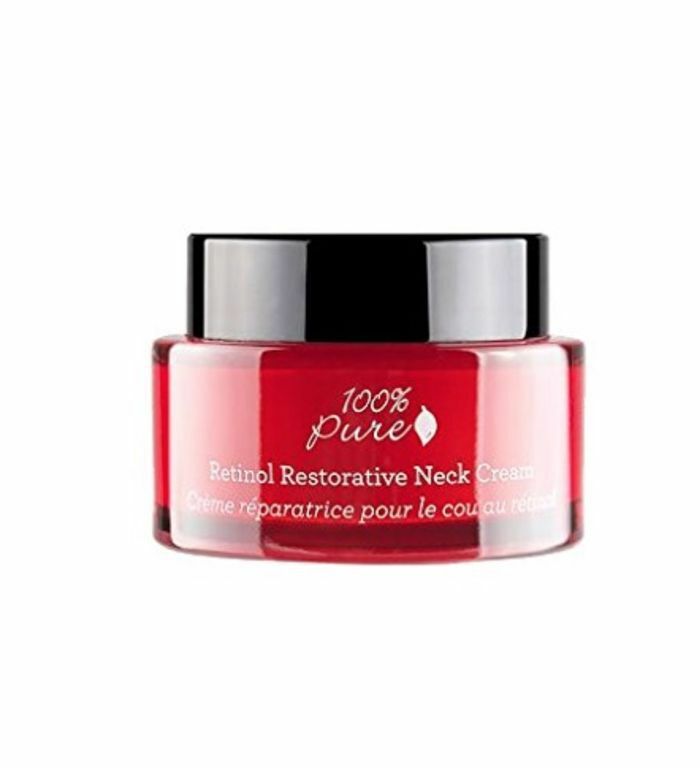 This product is a thick cream that goes on very smoothly, even on wet skin or rough areas. It is not greasy. It leaves my skin nicely hydrated. "I love this product. I've been using tretinoin on my face for over a decade now, and I know very well how good it is to fight signs of aging. 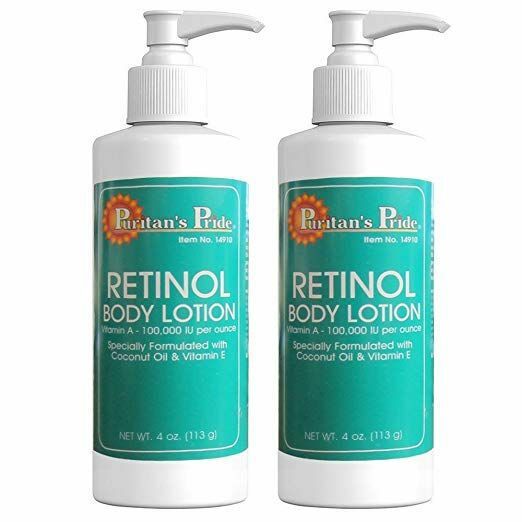 I wanted to try retinoids on my body too, so I found this product on Amazon. 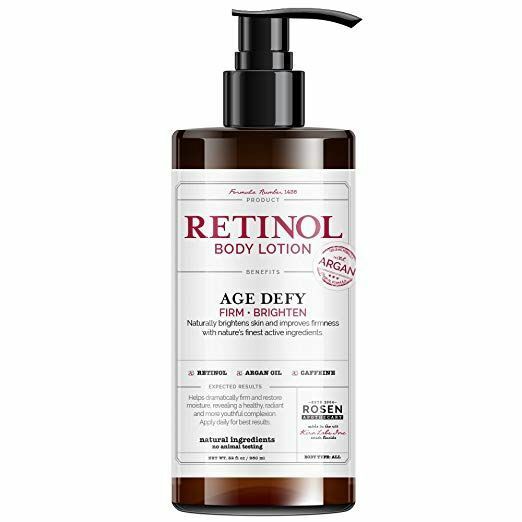 I was skeptical about it at first, since there was no mention of the concentration of retinol. However, it really worked, especially on the skin on my feet, which looked old and wrinkled due to everyday sun exposure (I live in SoCal). I tried several foot creams, none of them did much. After using maybe half a bottle of this, the skin texture on my feet improved significantly. It got less wrinkles, and obviously softer. The sun spots also got better. I also used it on my back, which had minor acnes and blackheads, and the skin texture of my back improved as well (but salicylic acid creams were more effective). I would totally recommend this to people who want to good anti-aging product. This is better than many way more expensive products. However, the ability to fight blackheads is probably not as good. "I LOVE this lotion. It is the best thing I’ve found for keratosis pilaris—better and cheaper than Glytone." Click here for the 13 best body lotions for every skin type and concern.